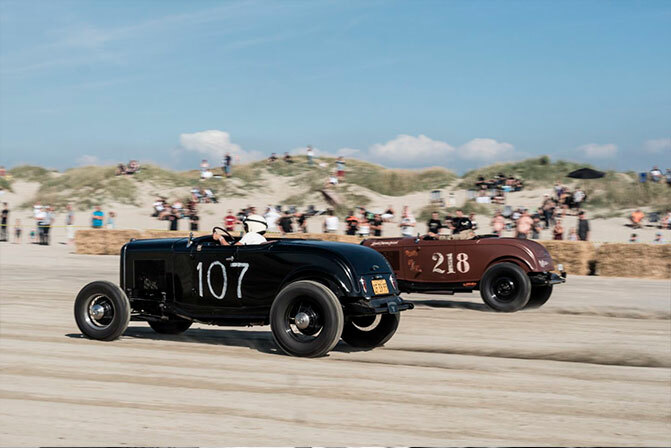 2019 - celebrating 100 years of danish beachracing. August 23rd 1919. On the beach of Fanø a mixed pack of drivers, teams, spectators and hopped up vehicles were lined up on the beach in front of Fanø Badehotel. For the man behind the race, Svend Simmelkjær, this was the crowning of the idea he had forstred while walking on one of the many amazing beaches on the westcoast of the danish peninsula of Jutland. 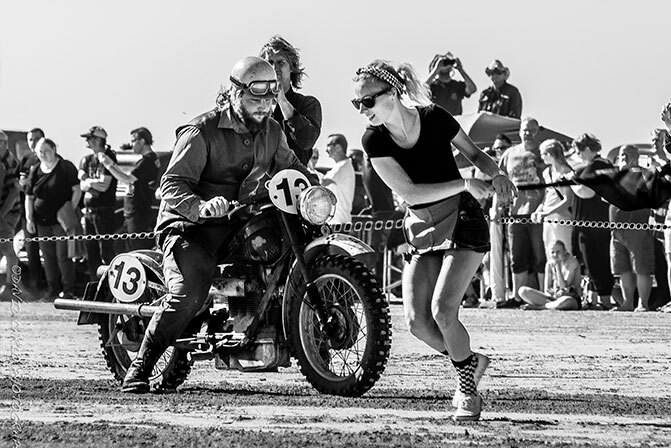 But in 1917, when he first envisioned a race for bikes and cars on one of the beaches, pasttime excesses like a race was out of the question. 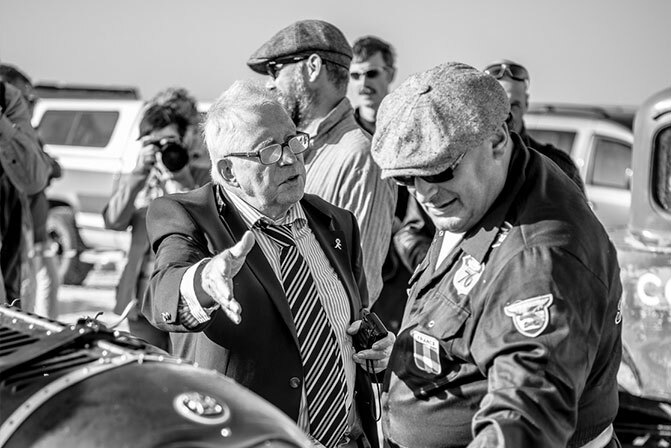 The world was engulfed in The Big war, and using precious fuel on having fun was a no go. But Svend never stopped dreaming. 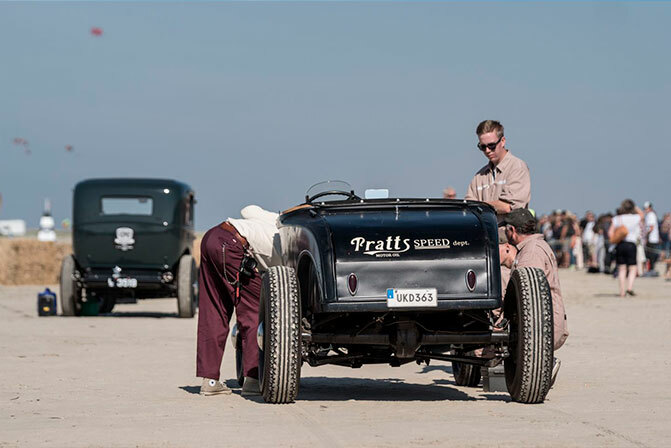 And in 1919 everything was ready for the first race on Fanø. Or more like..almost. Before the first heat one of the volunteers removed a mine that had drifted in with the tide by hand. And then it was time for the first go! The races from the beginning drew some of the fastest daredevils in it´s time, and was THE place to race if you wanted to be the fastest man or woman on the planet. It all came to a sudden stop, when Sir Malcom Campbell (to this day still the fastest man on the beach with a speed of more than 240 kph reached i the 1923 race) in 1924 was trying to set another of his many records. During the attempt his vehicle lost a tyre that hit and killed a 15 year old spectator. 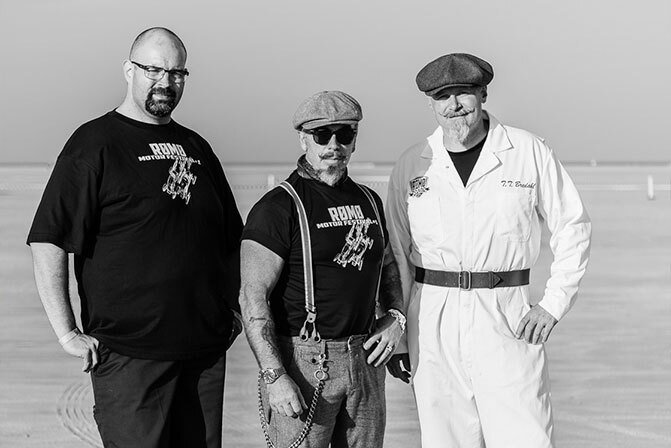 The five glorious years could have ended as an exotic and somehow forgotten chapter in the history of danish racing, were it not for Rømø Motor Festival. 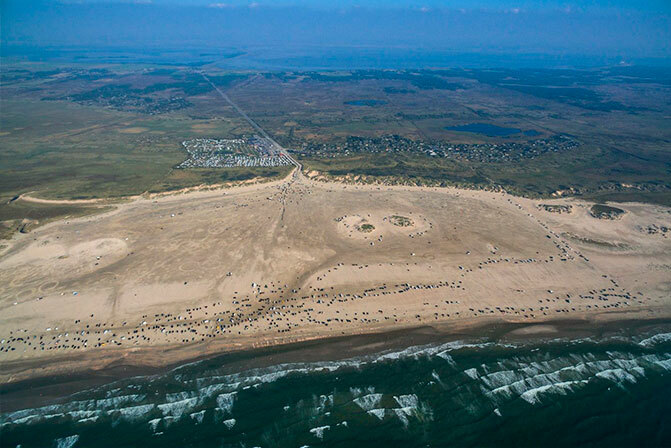 The very idea behind the festival is to honour and commemorate the history of the races on Fanø. We have done so since 2016. 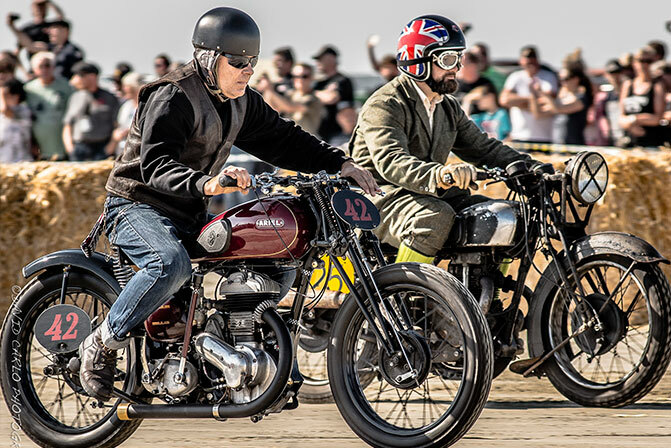 From humble beginnings with 40 vehicles raced by good friends of the festivalfounders, the festival has grown into a worldclass vintage beachrace on a worldclass beach. 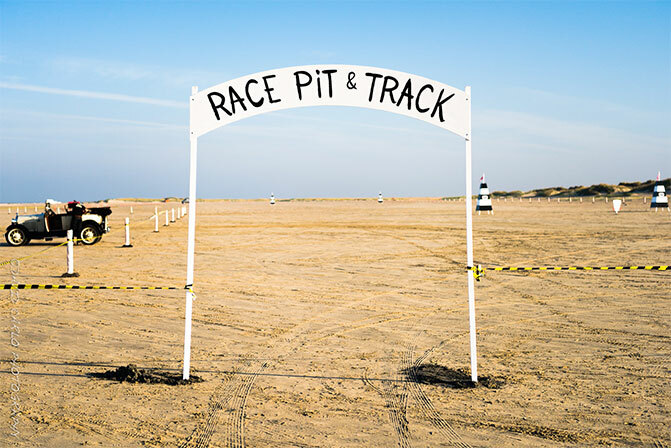 In 2018 more than 100 vehicles with drivers and teams from 11 countries raced Lakolk Beach. 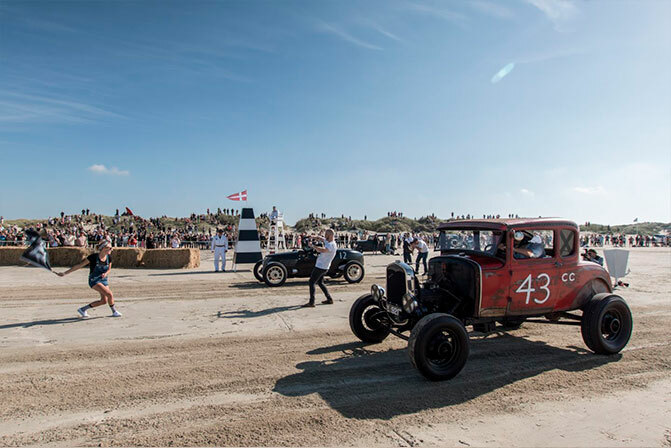 This year we honour and celebrate 100 years of danish beachracing in words and action. 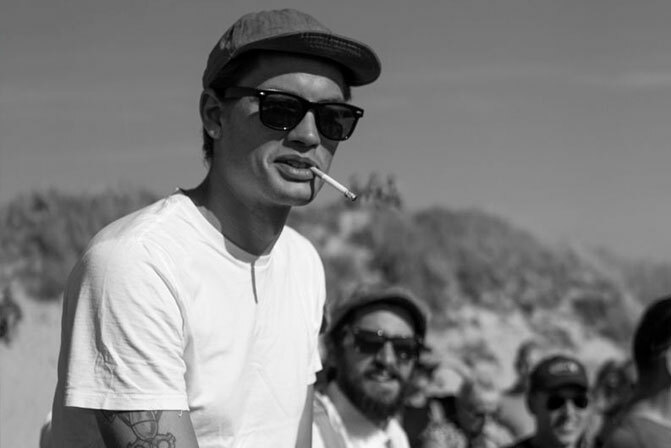 And in true Rømø-style it will be Fun, Free and Fantastic.